As I mentioned in my newsletter earlier this week, it’s my third Thanksgiving in the US and I am really growing to love this holiday. And while I don’t really talk about it much on this blog, one of my big loves is the psychology of happiness. I have piles and piles of books on the topic and am subscribed to a bunch of blogs that cover it on a daily basis. I think Thanksgiving is a pretty happy holiday. Yes, the pumpkin pie, ice cream, and a day off work helps a little. But it’s the being Thankful part that helps a lot. In fact one of the cheapest and easiest ways to increase our happiness is to be grateful and thankful for what we’ve got. Not to lament what we don’t have and what we’d like in the future, but to really appreciate what we have available to us right here right now – but seldom recognize because we’re so busy focusing on the other things. A study I read about in the book 59 Seconds by Richard Wiseman (well worth a read by the way) suggests that the single most important thing we can do to boost happiness is to create a “gratitude attitude”, and that by simply writing down what we are grateful for can significantly improve our happiness for months afterwards. Amazing huh? 1) YOU. Cheesy… but true. Through this blog, my newsletter and social media, I get to meet like-minded fellow writers from all around the globe every single day. How cool is that? 2) Self-publishing and digital media. Sure, some people still yearn to publish with a traditional publisher, but for me, I love the control self-publishing allows me. I get to have everything on my own terms, and be in charge of my own destiny which quite suits me. I know not everyone feels this way, but the very fact that we get to even make this choice is pretty darn wonderful. 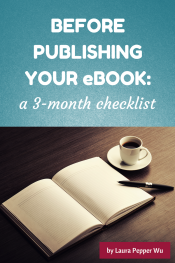 3) My fellow bloggers in the self-publishing world. It’s an infantile industry, but thankfully these authors and publishers know that there are enough pieces of the pie to go around – and share their knowledge generously. If you’re not reading these blogs already, be sure to check out Joel Friedlander’s The Book Designer, Joanna Penn’s The Creative Penn, The Girls at Duolit, Catherine Ryan Howard’s Catherine Caffeinated, and Jane Friedman.com. There are SO many more “must-read” resources that I fear I’ve missed several sites out. For the sake of brevity, however, you get the picture. 4) The Google Keyword Tool – Can you believe Google gives away their search data for free? Ready available to anyone? This kind of information is GOLD people! 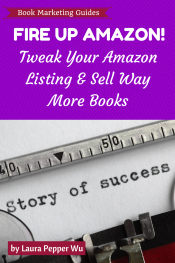 I use it for everything – my Amazon keywords, book title research, blogpost brainstorming, SEO for my site. It’s well worth learning how to use this tool to understand how people search for things and what topics are popular. 5) 750words.com – Recently I’ve got into the habit of writing 750 words of junk each morning, and it has had a huge effect on my productivity, writing quality and thought process. What I write doesn’t make a whole lot of sense, but that’s the point; to release all of your nonsense thoughts on to the page, and then start the day afresh with a clear mind. Love it! 6) Living in Seattle! Rain + coffee + going dark at 4pm in the winter = happy writing. 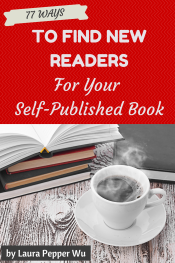 7) My beta readers – I don’t publish a book without them! Critique partners and beta readers really can make a whole lot of difference to your writing and story. 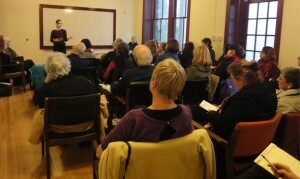 Check out LadiesWhoCritique.com (men are very welcome too), Absolute Write, or Nathan Bransford’s forums to find yours. 9) WordPress. This – and my four other sites (!) 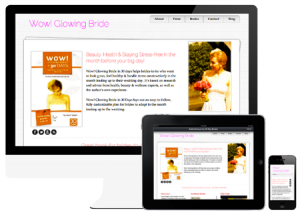 – are built using WordPress. I update my sites all the time – well at least a couple of times a day – so thank goodness WordPress makes it easy enough for me to do this by myself and without too much trouble. Can you imagine if I had to rely on someone else to do it? How expensive it would get, and how long I’d be waiting to see the changes? Learning the basics of WordPress was one of the best thing I ever did, and I’m so, so grateful for this free open-source software. 10 years ago we’d have to learn a LOT of code to be able to do what we do now. Thank you WordPress! 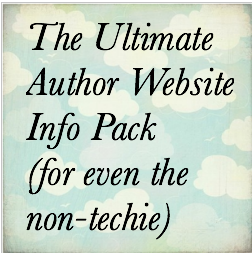 BTW, if you want to know more about WordPress, we have a free ‘Ultimate Guide to Author Websites’ that walks you through everything you need to know. 10) Mailchimp – Mailchimp is the provider I use to send out my weekly newsletter – which means it connects me with you guys every week! 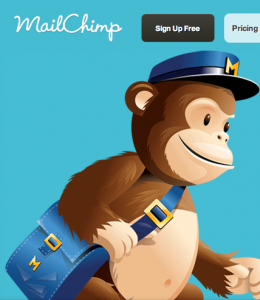 Mailchimp is free up to 2,000 subscribers, paid after that. Put a sign up form on your site and start collecting your readers email addresses today (it’s free!). Over to you… What ONE tool or resource or person are you grateful for as a writer? If you’re in the US, Happy Thanksgiving!